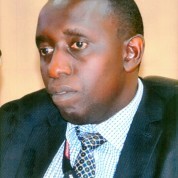 Ronald is a physics and maths teacher who joined Gayaza High School in Kampala in 1996. Gayaza is a school mainly attended by daughters from affluent families, and it is Ronald’s hope that as their teacher he can exert some positive influence on today’s and tomorrow’s leaders of Uganda. Ronald has developed various programmes that introduce community service and the use of technology into the curriculum. He founded a program in which 100 senior students visit a local primary school to teach maths to children for one hour every week. This activity, which has been in place for 7 years, introduces the students to the challenges faced by the wider community, and it has contributed to the tripling of enrolments at the primary school during this time frame. The students have also become involved in an agricultural project that allows them to provide weekly meals to primary school children. Yet another scheme has students studying local enterprises and creating marketing materials for them. It won an award and funding at a Microsoft pitch competition, sending a powerful signal to Ugandan society regarding the professional capabilities of female students. All these projects have been shared online, teaching students ICT skills and encouraging other schools to copy them.